I grew up a Knicks fan on Long Island. Even though the Nets (and Dr. J) played in my backyard, my heart was with the Knicks. Bradley, Frazier, Reed, Earl (the Pearl), Phil Jackson (yes, THAT Phil Jackson), Dave DeBusschere. A lot has been written in the past 24 hours regarding the Knicks and their decision to trade away one of the better players in the NBA (Kristaps Porzingis). For the first time in many years, the Knicks had a piece, a player they could build around, someone who could become one of the very best. But he was chucked away in (what may be) an emotional decision. It’s been sad to watch the Knicks grind themselves from “great franchise” to where they stand today…on the verge of yet another rebuild. Do the Knicks actually HAVE a game plan? In a similar way, it’s been equally sad to see prospective clients come through our door here at Mullooly Asset Management carrying statements filled with broken strategies, investment products that failed to live up to the hype and fat expenses that often only get discovered post-mortem. Adding up all the hidden charges and expenses, and then telling these folks what they have paid elsewhere over the years for their portfolios has been an education in empathy – for me. Were some of these decisions to change direction, change strategies based simply on emotions? Were they based only the headlines and news of that day? Did some of these investment approaches simply need more time – but were ripped up too soon? Like – trading a budding superstar after he’s played just 180 games? It’s important to understand your investments, and how they will act when markets are on the move. But it’s equally important to know yourself. How will folks behave in the short-term when things are NOT working? Do they know the game plan? Some people want to “rip up the script” before the strategy has time to work. Were some decisions made impulsively because of a tip, or a glossy sales pitch that appealed to the emotional side and not the rational side? Are there investments that cannot be explained? 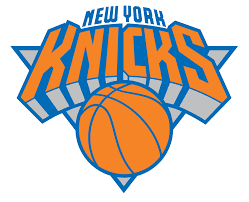 We’ve met some investors who describe themselves like the Knicks – in a continual state of rebuilding. Why? Long term investment results are the results that matter. But the short term is where our patience gets tested the most.